Treasures of Kecskemét - Pazirik Informatikai Kft. | Pazirik Informatikai Kft. 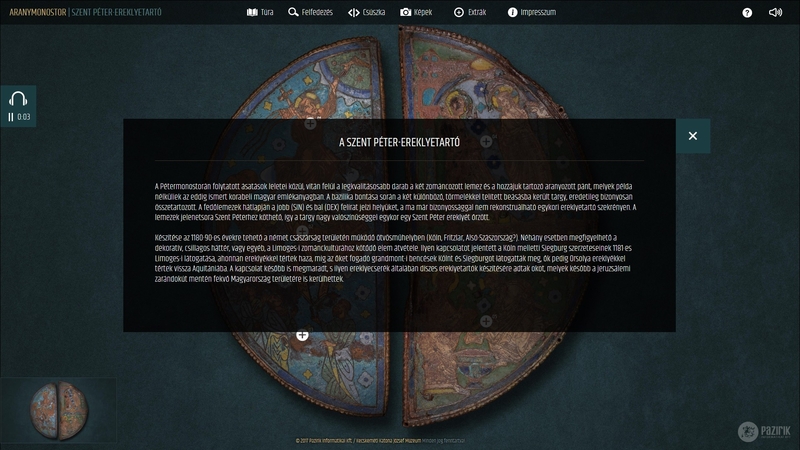 We created a modern interactive software application for the new Kincses Kecskemét (‘Treasures of Kecskemét’) exhibition for the Katona József Museum, presenting the recently discovered Saint Peter reliquary unearthed at the Bugac Monastery. 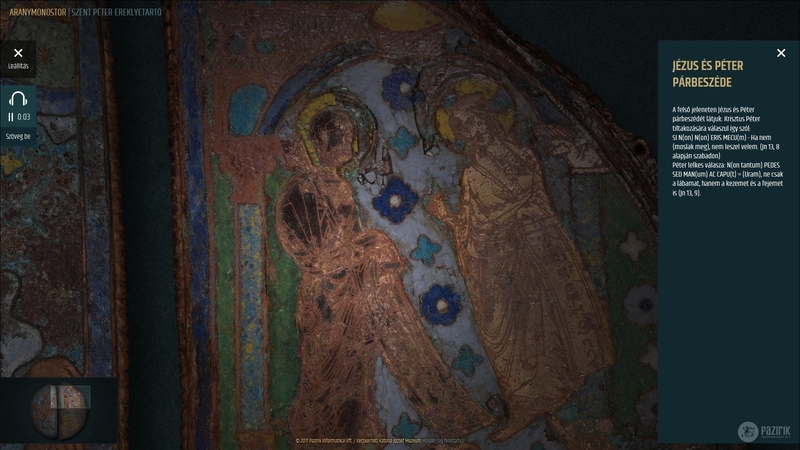 During the process we shot gigapixel images of the objects and developed an application with numerous interactive applications: including swipe, 3D tour, object panorama.